moving mountains: Back from our break - exhausted. OK, I won't be so insensitive as to complain about 3 days of amusement parks in Orlando. In fact, we had a really great time. But I will note that if anyone is looking for a break to rest and relax, theme parks are not the way to do it. 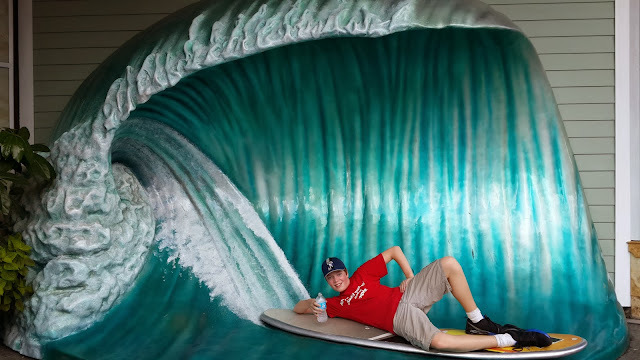 Universal's Islands of Adventure was tons of fun. On the other hand, if you do want to go to some theme parks, and walk all day until your feet hurt, you couldn't pick a better time than the last week in September/first week in October. It is definitely low season for the parks. The hotel was super-cheap, and we got a great place for what we paid. The parks were as close to empty as they get, and we pretty much walked on to whatever ride we wanted for three straight days. It was a pretty great feeling walking straight through these huge line-up corrals, where it was easy to envision sweating tourists waiting for hours to get on their favorite ride. Then, we would just hop on whatever crazy roller-coaster we wanted, and ride as much as we wanted. Which for Sara and I was usually about once. My stomach is no where near as rock solid as it used to be, and I don't tolerate being flipped and twisted as much as I used to. Splash Mountain at Disney is a lot less wet than the water rides at Universal. Nausea inducing spinny rides. Fun! Which is a bit of a problem, since as the kids get older, they are really into the full on hard-core roller coaster scene. And the parks are happy to oblige. Some of the roller coasters are totally insane, with climbs that literally go straight up, dropping into a straight down plunge followed by a lot of upside down loops, etc. The kids loved them. It usually took me about 1/2 an hour to recover before going on the next one. The one interesting thing we noticed is that our kids are really too old for Disney now. We have been to the one in California before, and they were perfect for it. 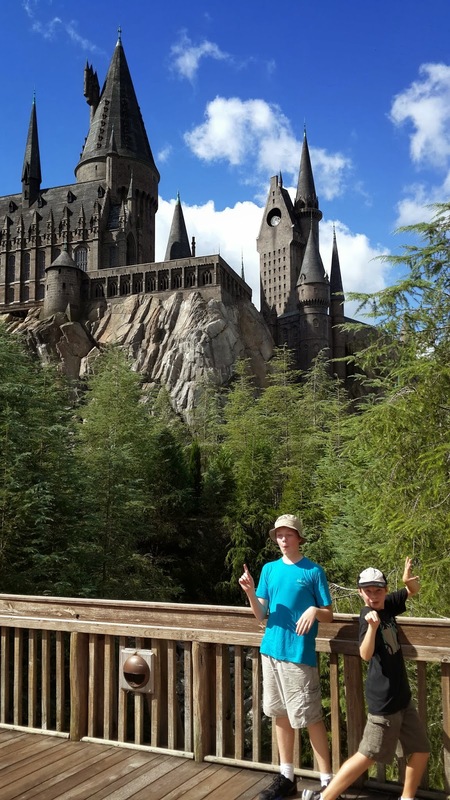 But as Christopher said, after about age 10, Universal Studios is more interesting than Disney. So, for that reason, we bought a two day ticket at Universal, and just one at Disney. That worked out well. Hogwarts Castle at Universal was really well done. ...it came complete with great statues. The crowds in Hogsmeade were pretty manageable. But tons of muggles. Butterbeer and pumpkin juice. Actually pretty good! Today, we are back at the boat, and are finishing up some projects from last week. I finished bolting down the windlass with some bigger washers, to grab a bit more fiberglass, and reattached the anchor. We then proceed to replace the port side instrument panel, since it was broken at the screw holes. We also tried to fix up the bow speakers, but the wire seems to be pretty corroded. I might have to consider re-wiring them so I can install our new speakers, but that looks like a pretty big job, running lots of wire, so I think I will leave it for another time. Chilling out after the parks. 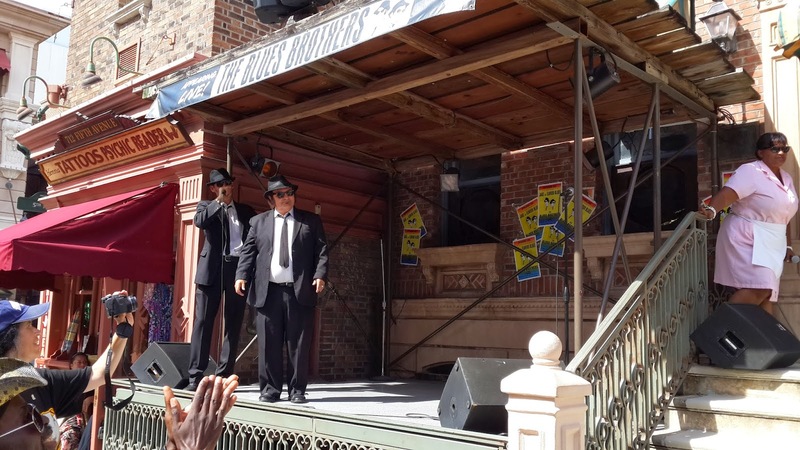 Seeing the Blues Brothers at Universal was awesome. I'm a big fan. 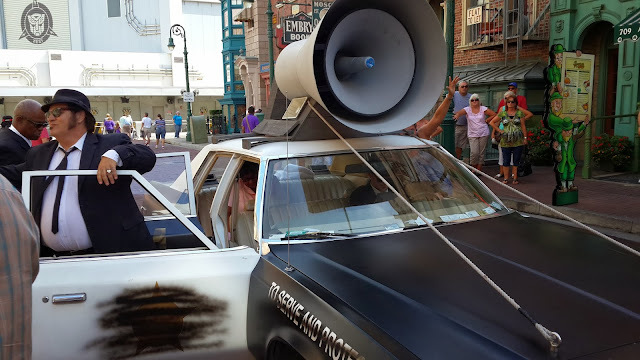 The Bluesmobile was pretty cool too. Tomorrow, Rafael comes back and we start in with our last big project - an electric winch to help raise the main. This is the last big-ticket item we have budgeted for, and is not strictly 100% necessary. In fact it is really not necessary at all, since we could easily continue to raise the main through manual power. However, that would mean going up on the foredeck, and we want to be able to handle the main without doing that if we can. By having it lead back to the cockpit, and having an electric winch, the boat should be really easily sailed by 1 person, and it should minimize having to leave the cockpit, which will enhance all our safety, and hopefully free one adult to spend time with the kids while the other sails, if necessary. Also, we have spent some time on boats with electric winches, and once you get used to the ease of using one, it is pretty hard to go back. So hopefully that install will go well, and we can then focus on our final provisioning, and think about actually going somewhere! Suess land was perfect for Katie's age. And the boys liked it too. The drive 'em yourself cars at Disney. A classic. Still gas, though. When will they go electric? Spongebob Storepants - Universal didn't miss a chance to get you to spend some dough.